We saved these pieces from destruction and saved our client some money too. The complimentary design consultation revealed that this client desired to have a refreshed, strong classical approach to this project. 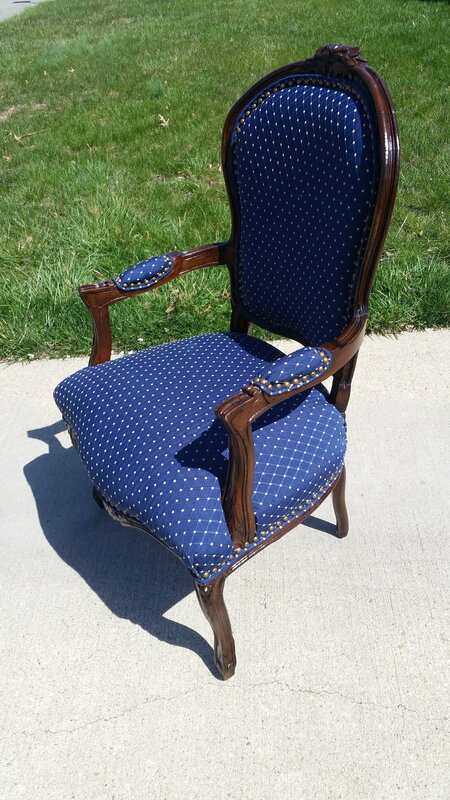 We chose an amazing fabric to reupholster with decorative nails and trim that reflected the client's style. The old discolored wood was stripped and a fresh dark walnut was applied. Chair joints needed to be secured and reset. A high quality finish for an amazing price.